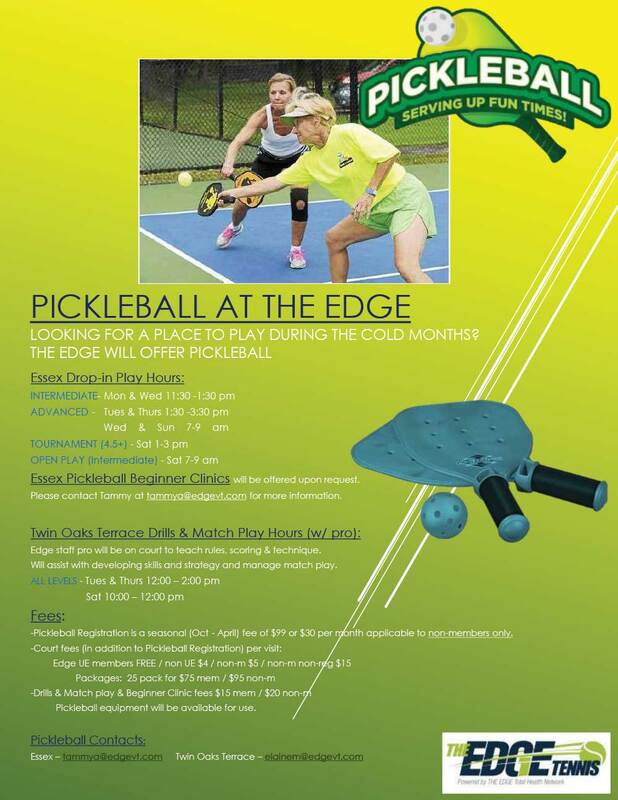 Pickleball is offered at The Edge in Essex October through March 2018. Play is only allowed during the times listed below. Courts MAY NOT be reserved for pickleball use during any other times of the day. The indoor season may be extended into April depending on the weather. *Please check for availability. Courts for the elite group are not available every week due to USTA matches and tournaments.